Eric Sloane always asserted that "Drawing clouds and sky is an important part of art study," pointing out that nearly every great picture features sky space. With this intelligent and insightful primer, he sets out to help art students master the art of painting the heavens. One of the first books of its kind, Sloane's guide to drawing clouds and sunsets does much more than teach you how to draw. Before the sketching even begins, he describes various kinds of clouds — cumulus, stratus, cirrus, and other formations — and offers homespun techniques that add texture and realism to cloud illustrations. Also discussed and illustrated are skies as accessories and basic subject matter within a sketch, the shape and anatomy of clouds, moods and shadows in cloud formations, and incorporating clouds within a sunset. Eric Sloane, homespun writer and artist, offers gentle advice on creating realistic clouds in graphite or pastel. He covers cloud "geography," realistic shading and shaping, and various types of realistic clouds. Sloane's knowledge of weather and meteorology gives him extra insight into why clouds form the way they do, and when to use certain types. The instructions are largely designed for readers with some previous drawing experience (it doesn't teach the basics of drawing). I also find that the instructions can be logically adapted to pen & ink, pastel, and even paint. 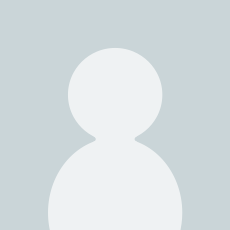 Recommended for any art instruction library. I really wanted to give it 5 stars because I simply like it. It uses illustratoin techniques that are no longer used today. The book is a reprint from the 50s. You can feel the author's love for clouds and the sky. I found it useful and I learned some new things about making clouds. But I will give it 4 stars because I don't want to mislead anyone into thinking that this book will turn you an instant cloud artist. Much work and study and a dash of love like Eric Sloane had is necessary for that. But this book is a fun book to look at and to own, and the price is right. I have always loved this author's plain work and easy style both as an artist and a meteorologist. Here, he is the artist, describing in his own way the best way to draw clouds and skyscapes. While it is a thin book, it is packed with detail on how to depict clouds and weather in an easy to follow format. This is one book I would recommend for those seeking to enhance their knowledge of the sky. Mr. Sloane teaches in succinct diagrams and text. His information opened my eyes to see the changes in color as clouds move farther away. Additionally, he includes valuable instruction about composing skies to support a landscape. 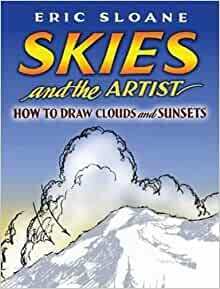 Unfortunately this book does not help when you already am good at drawing and just want to get ideas of how to draw skies. I was hoping for some ideas of skies and sunsets but did not get any from this book.